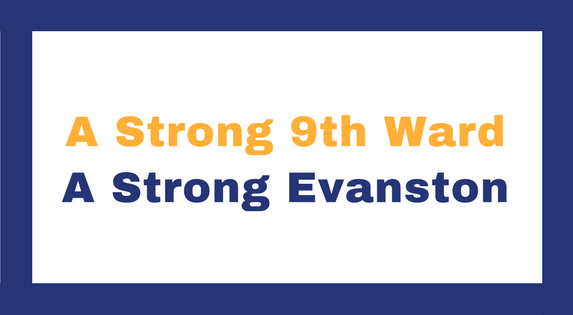 To reach Alderwoman Fleming, e-mail cfleming@cityofevanston.org or fill out this contact form. Fleming, who voted against the resolution, said the city should continue to talk with Smylie Brothers about a better solution. Fleming moved to amend the resolution to have administrative adjudication records follow the same new guidelines for arrest records. According to the city website, administrative adjudication records include tickets, notice of violations or complaints from the city. "It is my goal that we would look to thoroughly examine a pay-as-you-go capital improvement plan; consider liquidating city assets (like the recycling center), and imposing spending restrictions. Without such measures in place and our shared commitment to not increase taxes, we risk a repeat of Crown – a major capital need without sufficient financing options." Mayor Steve Hagerty said he agreed with Fleming's statement. “I would dare to say that many black people, particularly ones that live here in our liberal city of Evanston, live under a false sense of freedom." Ald. Cicely Fleming (9th) had first raised the issue in March, when she pointed out that the records were searchable online. She had requested a review of the city’s posting of the Daily Crime Bulletins and the length of time they should be made available to the public. Ald. Cicely Fleming, 9th Ward, expressed concern that social services for low income residents may be cut because those residents are not as vocal as others in town. “I'm puzzled that we're having a huge debate about an aldermanic motion. I feel like other aldermen make motions I don't necessarily agree with or feel like are beneficial, but I don't say, particularly from the dais, don't make that motion. We are not to start voting on whether or not an elected official can make a request for information. Aldermen should not hinder the work of other aldermen because they decide the request unworthy." Residents and aldermen need “more information if we’re asking people to rank things. People need to know how much money, and as a result how much tax burden could be avoided, by cutting a program." Ald. Cicely Fleming, 9th Ward, said her constituents were in favor of repealing the rule to increase access to housing in Evanston. "In the city overall we need to do a deeper dive into how we’re looking at equity, what the importance of it is and how we’re implementing it throughout the city." Ald. Cicely Fleming, 9th Ward, said she appreciated the foresight and the time to seek community input before tough budget decisions come this fall. Ald. Cicely Fleming, 9th Ward, said she has heard from residents who said they had unfortunate run-ins with officers when they did not commit a crime. “I’m a big believer in once a person has committed whatever crime they have or served whatever time or paid whatever fee, there’s no reason particularly for us as a city to continue to advertise that." Ald. 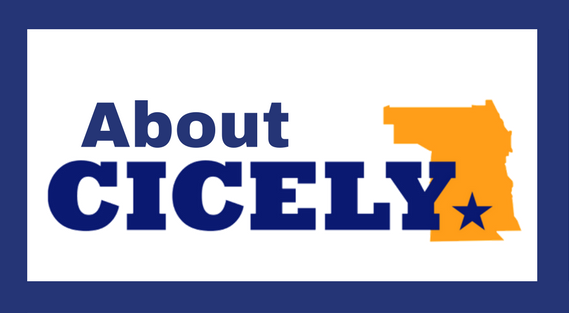 Cicely Fleming (9th spearheaded the efforts to update the city’s policy, and city staff met with her and interested community members to gather input on current best practices, according to city documents. "...I do represent more than just myself, and I have heard from constituents concerned about spending." At committee, Alderman Tom Suffredin, 6th Ward, also expressed concerns about future change orders and the overall cost of the project, joining Ald. Fleming in voting no. "My expectation is all of our citizens are treated with respect within our city." Ald. Cicely Fleming (9th) also suggested the program place a cap on the number of times an owner can apply for funding to make more resources available for more landlords. Fleming said ... she was also concerned about the cost to the city to run Divvy. She said she would be interested in a “pretty aggressive” plan to increase ridership or decrease the number of stations. Ald. Cicely Fleming (9th) told The Daily that she supported the proposal as a way to overcome cost barriers in diversifying the force, as applicants are required to take the tests before they can be added to EFD’s recruitment lists. At the meeting, Ald. Cicely Fleming (9th), founder of the Organization for Positive Action and Leadership, said she was frustrated the district had failed to address the achievement gap. "This is a great opportunity to bring the best in thought to Evanston and show our residents that Evanston can be a Midwestern leader in Municipal Equity"
Alderman Cicely Fleming, 9th Ward, said her concern was seniors would run out of debit card funding before a month ended. “Is there a way we can help them?” she asked, seeking education on budgeting. “We have a budget deficit. We’ve had departments make a four percent cut. I know the library is not a department but I had hoped they’d also make a cut. Not a cut that would impact services but a cut that is going to help all of the residents to remain in Evanston and not be financially burdened." "I think in this age of lack of trust of government, I think it's better to put what we can online." "Everyone is being asked to make cuts. I have trouble going to the taxpayers for so much." “I would ask the Library not to do the full scope of their work. I’m concerned about the Shore School building [on Church Street at McDaniel Avenue, now vacant], and parks, and tuck-pointing at the Service Center." "My vote is based on what I believe is financial responsibility. I don't feel comfortable getting us so close to our debt limit – although I understand that we can raise it – but I know that we're also trying to not raise taxes." “It has been disheartening to me as a lifelong Evanstonian to hear this conversation. ... It is frustrating me to hear that people who care about affordable housing put it all on this building." "It's really frustrating to hear people who generally care about affordable housing and diversity to blame it all on this one building. I understand change and people not liking everything. But I also understand that we are a community and everything is not for everybody." "We are dealing with people who are undocumented and we are dealing with a (federal) administration that is not friendly" to undocumented residents. "We will continue to make sure everyone who is here legally or illegally will feel welcome." “My overall concern is to make sure that in using NextRequest and being very transparent as a city is that we also balance that and don’t overshoot and lose protection..."
“I do want us to be a welcoming city for all people. (For) African Americans, we do have some work to do to feel totally welcome here. I’m still working to bridge that divide." "I’m making decisions about the city, so I should know what people’s experiences are. This is a major part of our City. I don’t want to make decisions based on what I think the job is like or based on assumptions. It’s important to have perspective." "I hold our police department to a very high standard. I am committed to making sure we do a full investigation, which does ideally include an apology for the behavior that was displayed to your son." Alderman Cicely Fleming, 9th Ward, said she would ask the Chief for the demographic information broken down as requested by Ms. Barry, as much information as could be provided given the fact those arrested were juveniles. “We live in a diverse city, but we are segregated." Cicely Fleming, who was recently elected 9th Ward alderman, expressed concern about placing an emphasis on diversifying conversations; she said it is just as important to ensure that the marginalized groups are heard. Fleming said in February that her motivation to run for political office came after feeling frustrated with some of the decisions City Council has made over the years, particularly concerning the fees and taxes Evanston imposes. “We want people to be educated — but then be empowered to take the next step and take action."